All our bernese mountain dog puppies are Canadian Kennel Club registered, vaccinated, dewormed, and they are preciously examined by an excellent vetenarian. We offer a COMPLETE 3 YEAR GARANTY for all genetic problems that could occur. 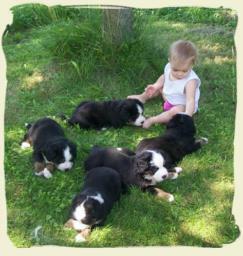 All our bernese mountain dog puppies are raised and socialized as part of the family in our home, with young kids, other dogs and cats . From birth to adoption, we show them everything they have to know about life as a companion dog: everyday noises (vacuum, tv, door bell, phone ringing, kids playing, sometimes running and screaming, etc. ), house training is started, we show them to make the difference of furniture and their toys, grooming, bath, blow-dryer, etc. A GOOD socialization to family life, starting at birth, is very important for optimal puppy development for them to grow up as a well-raised easy to train and fun living family dog. Imagine a human baby locked up in a room for his first year (eqals the first 2 months of life of a puppy) , no stimulations, no socialization to family life, Would this baby have the same development and temperament as a baby who is stimulated to different situations, who is cared for, socialized to different people and animals, living multiple life experiences? Choose your breeder wisely and don't adopt from pet shops! 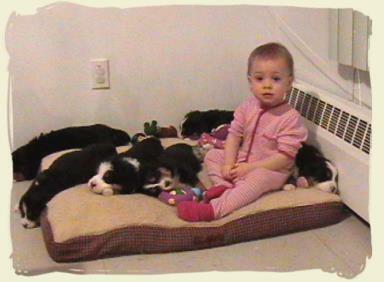 We garanty that we offer the BEST start to all our puppies, so they will grow up to be the BEST companion family dogs. Our dogs and puppies are fed with the best TOP quality nutrition on the market, and I raise my puppies for them to be at their maximum potential so they can live full HAPPY lives with their families! Our next puppies are expected to be born May/June 2018! We still plan to have available spots for reservations for puppies that would be ready for adoption in Summer / Fall 2018! 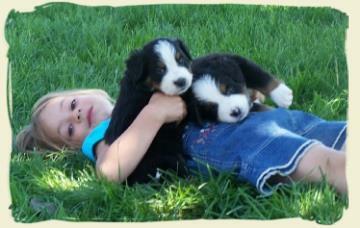 Contact-Us to secure your spot on the 'Belnois' Wait list for our futur puppies ! See information about expected litters on the Puppy Adoption page. 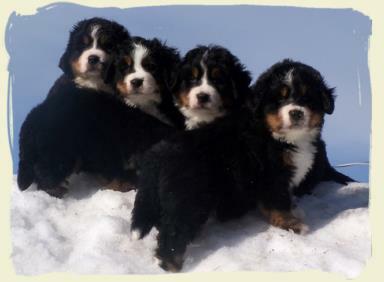 To help you find a good breeder of Bernese mountain dogs, I HIGHLY recommend to ONLY refer to the breeders member of Bernese Mountain Dog Club of Canada (BMDCC), and/or Bernese Mountain Dog Club of Ontario (BMDCO or BMDCSWO) and/or Bernese Mountain Dog Club of Quebec (CQBB) , see our page Links. Choose a puppy from OFA certified parents, minimum free of hip and elbow dysplasia (preferrably also tested for eyes, heart, Vwb, DM and more), and finally I would recommend to prefer a family raised puppy over a kennel raised puppy. These tips will help you find a quality Bernese Mountain Dog puppy that will make your family happy!